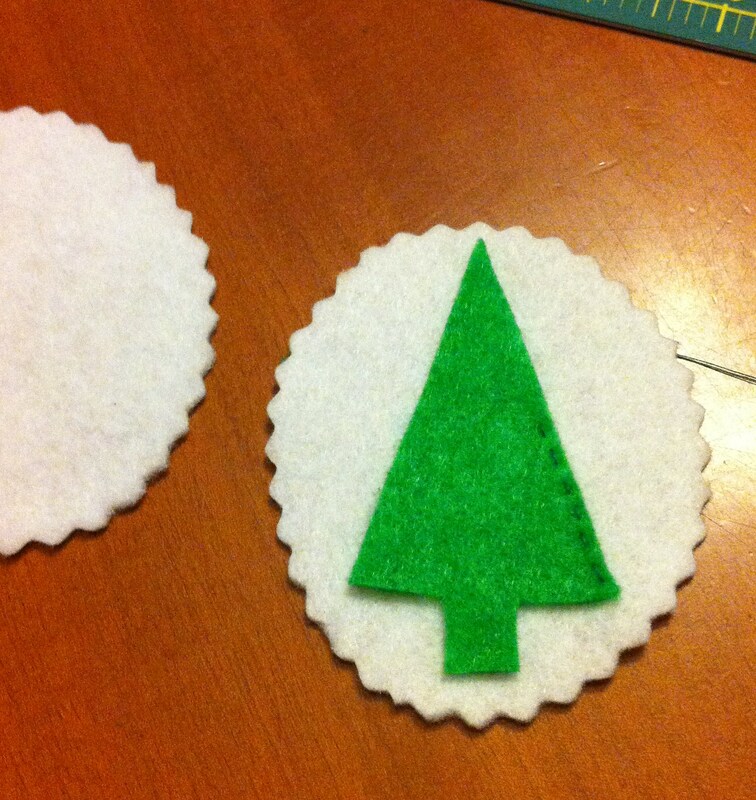 Something about felt makes it a go to material when making ornaments. 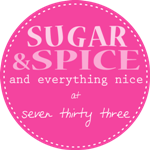 You can sew it, glue it, fold it, cut it, roll it, or just about anything else! I found this Eco-fi felt, made of recycled plastic bottles, at Michael’s. The color is called Copper Canyon and I thought it would be a great base for a gingerbread man. 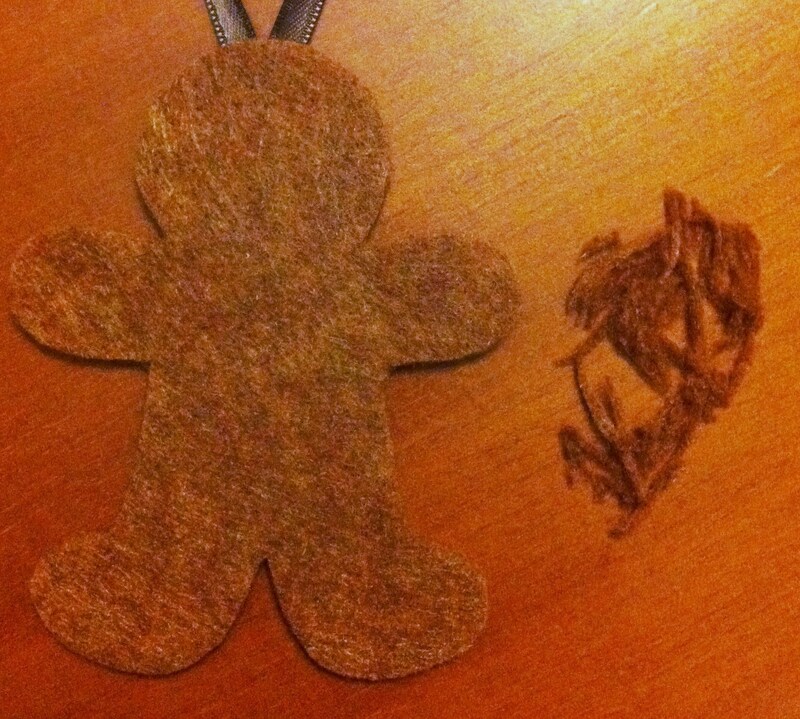 I used Google images to find a template for a Gingerbread man and then just re-sized it to make my ornament about 4″ tall and 3″ wide. I made three of them using one square of felt that costs 29 cents! The rest of the supplies I needed were things I had at home, fabric glue, scissors, ribbon, white puff paint, and embellishments for bow ties and buttons. 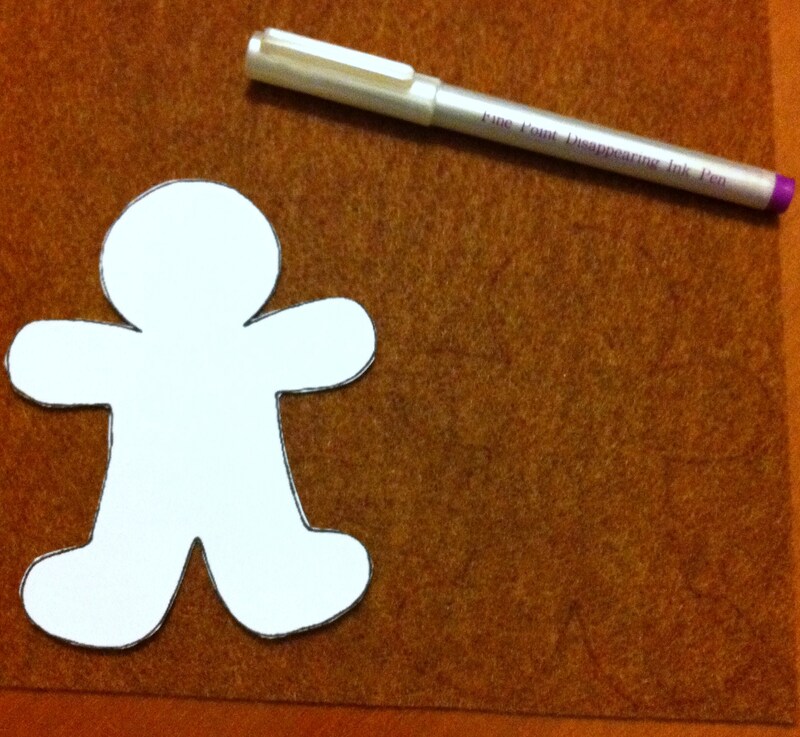 Trace your Gingerbread man onto the felt using a disappearing ink marker for fabric. If you don’t have this type of marker you can just cut out your gingerbread man a little more carefully to avoid the marker lines. You will need two cut outs for one ornament. 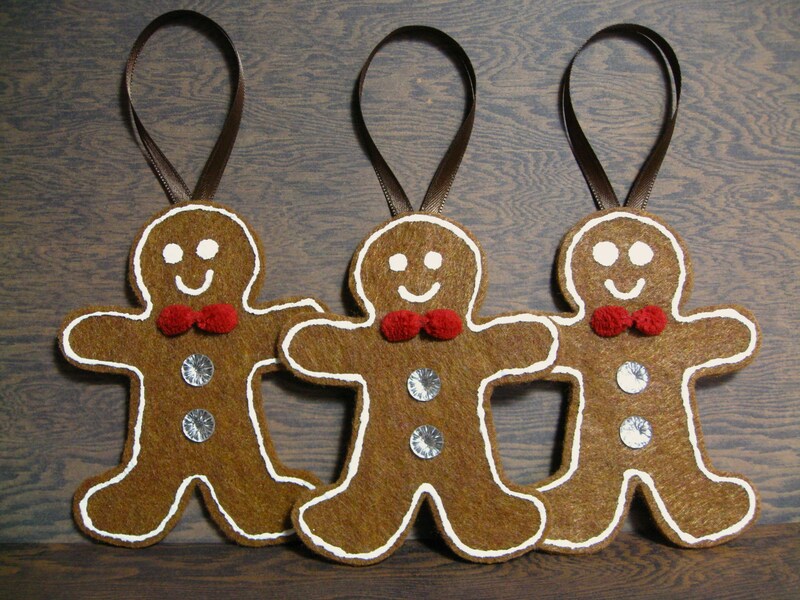 Once your Gingerbread men are cut out you will need to cut a length of ribbon for hanging. 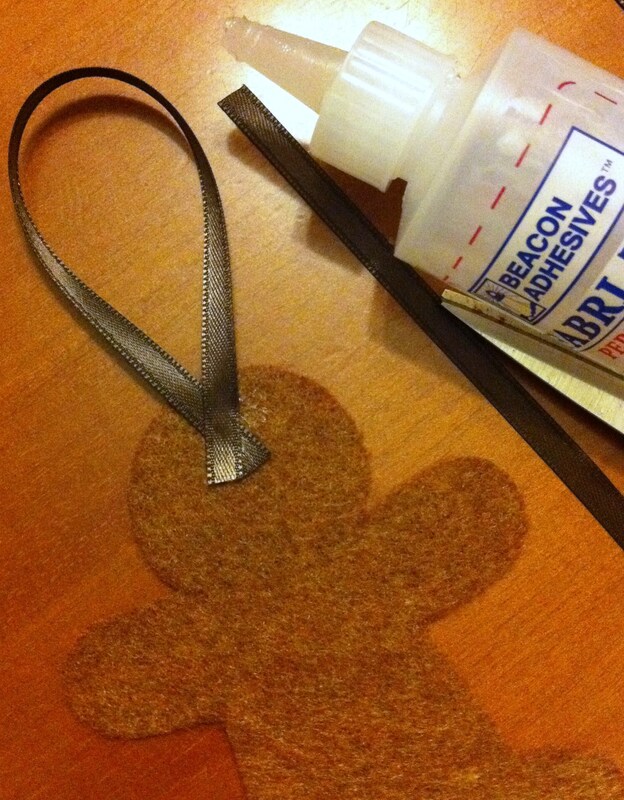 Loop your ribbon so the ends meet and use fabric glue to attach the ribbon to the head of the gingerbread man. 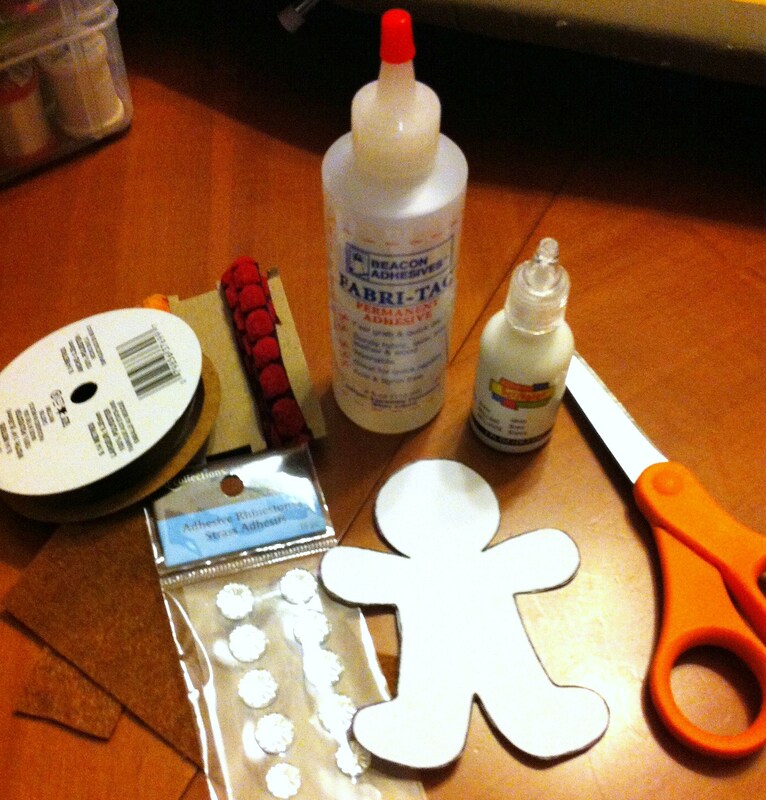 Using fabric glue, attach the remaining gingerbread man to the first one. Glue them together so that the ribbon is hidden between the felt pieces. You can trim away any felt that doesn’t match up along the sides. 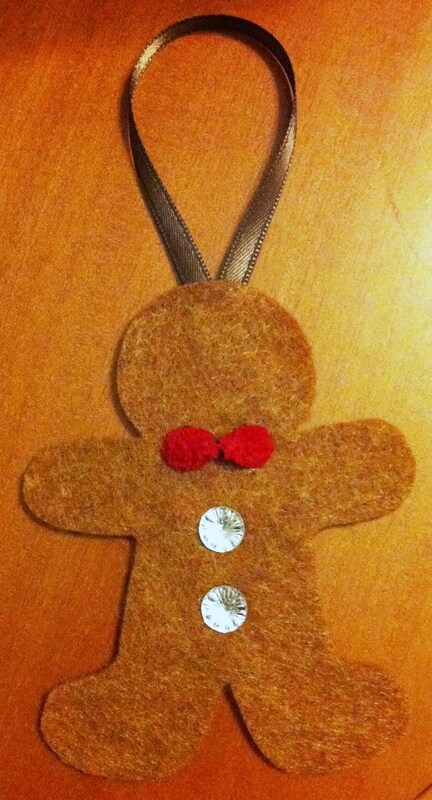 Now you have a double thick felt gingerbread man ready to hang. 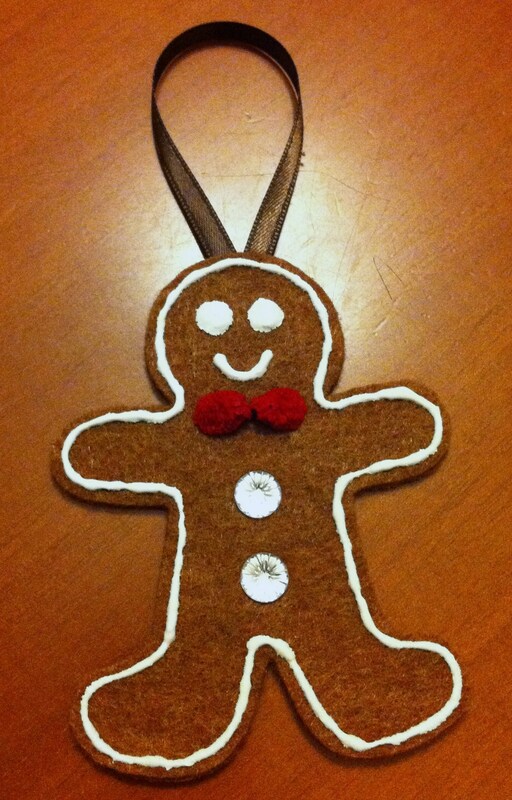 While a plain Gingerbread Man is cute, I wanted to decorate mine. I used a few tiny snips of this amazing ribbon for bow ties. The ribbon has little red fuzzy dots. Make a bow tie by cutting just two dots in length and pinching the middle, use a little dot of fabric glue to secure. Then I trimmed the corners of brown ribbon so that you only see the red part. You can use the pinching and gluing method on pretty much any kind of ribbon and get a bow look, or buy tiny pre-made bows. 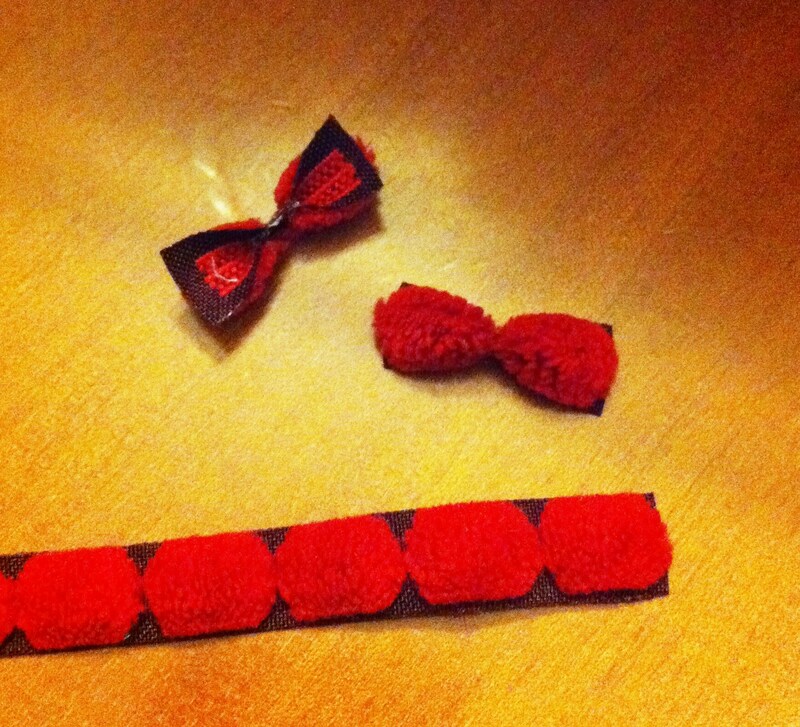 Using Fabric glue, attach the bow tie and “buttons”. I used little rhinestone gems for a dressed up look. Now it’s time for the “icing”. I used a glossy white fabric paint that dries with a raised texture. I chose to outline the Gingerbread man and add eyes and a mouth. You could do the same or just make squiggly lines on the arms and legs. There are lots of decorating ideas in Google images if you need some hints. This particular paint needs to dry for about four hours before you can hang your Gingerbread Man. Enjoy making these adorable and affordable little guys! Feel free to share a picture of your creation. Today I “felt” like sewing a little something. I decided to make a few Christmas ornaments. I gathered up some supplies I had on hand and got to work. A few hours later I had two ornaments and a good start on my new audio book! All you need to make one of your own is two colors of felt, a few inches of matching ribbon, and a few beads. First cut out your front and back pieces for the ornament. I chose white felt and an oval shape. I used a decorative scissor for a wavy edge. Then cut out your embellishment. 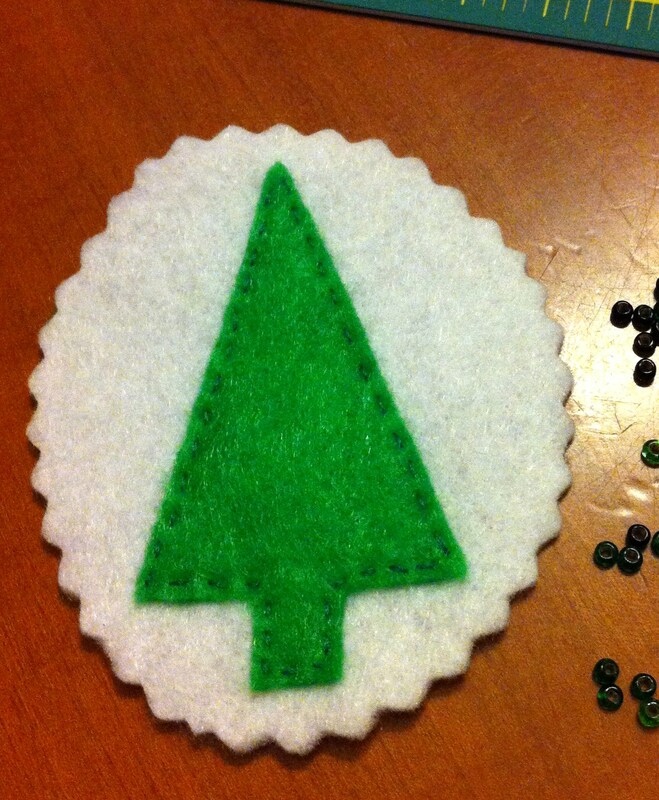 I chose green felt for a simple tree shape. 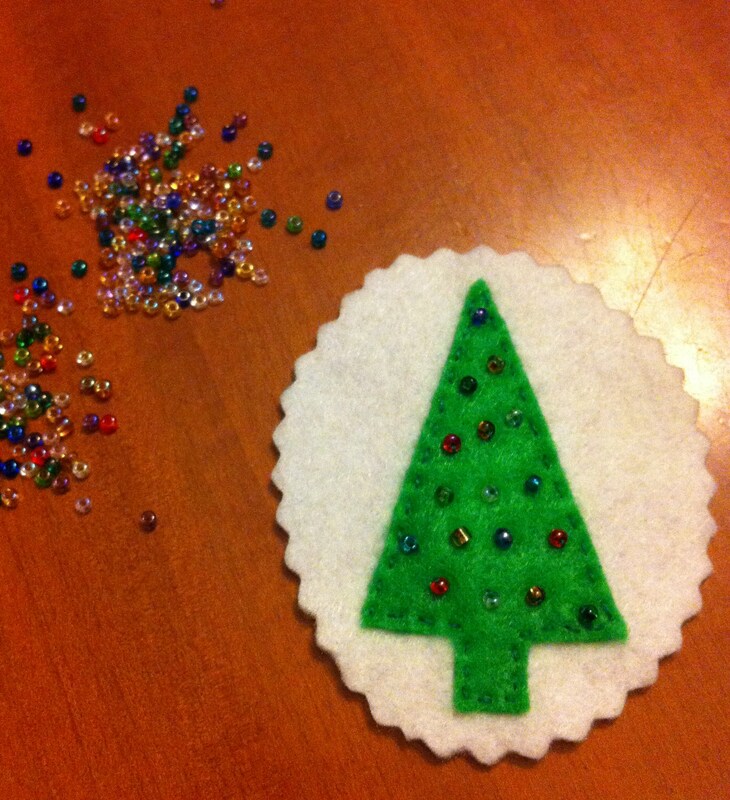 Stitch your embellishment piece to the front piece of your ornament. You could use fabric glue if you don’t want to stitch as much but I like the way it looks. Next I picked out some tiny glass beads in bright colors. 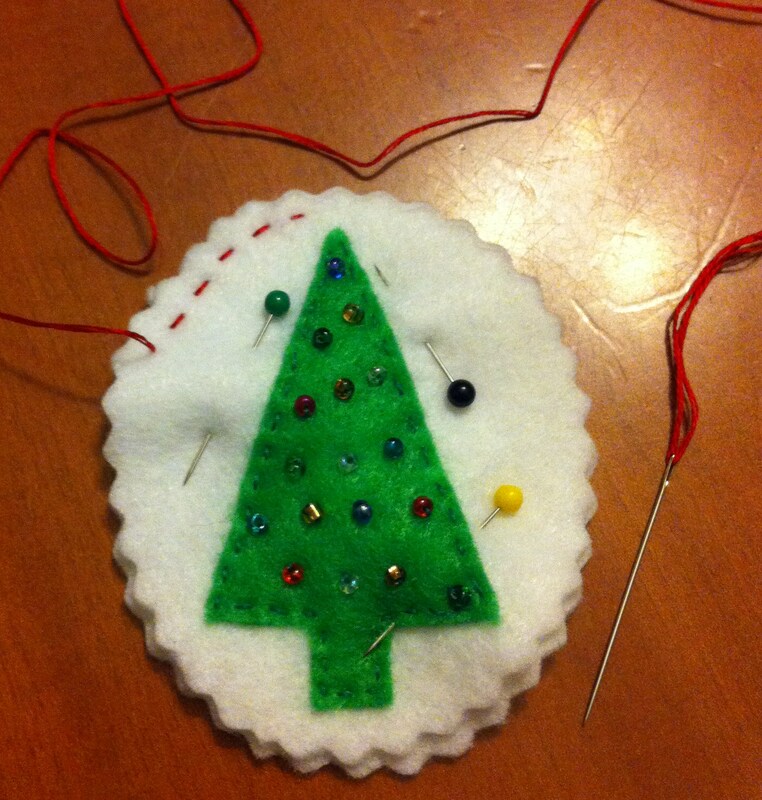 Stitch the beads onto the tree. Now place your front and back pieces together and stitch together. I used red embroidery thread, separated in half for three strands thickness. start the stitch in between the felt layers to hide the knot. continue stitching from just left of the top until you have about a 1.5″ opening left. Using a little bit of poly-fil or the stuffing of your choice, fill up your ornament. Don’t over stuff these, you just want a little shape and dimension. To finish your ornament fold the ends of your ribbon in half so that you can insert the two flat ends between the felt. 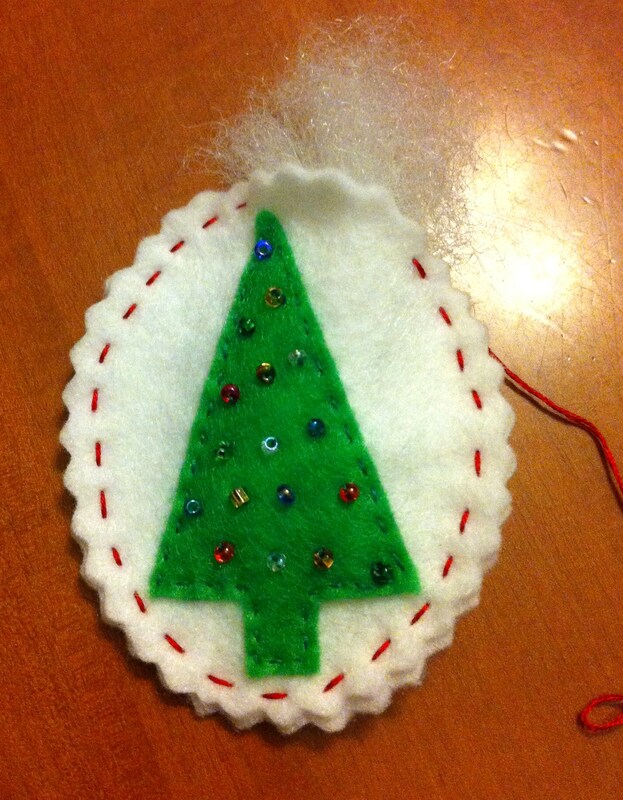 I like to stitch the ribbon this way so that the ornament will hang facing front. Finish your stitch with the embroidery thread and stitch a couple of times through the ribbon to secure it. Tie off the thread in a small knot on the backside of the ornament. Enjoy!